This weekend in my tribe many congregations we will celebrate All Saints Day on Sunday. One this day Christian celebration of All Saints’ Day and All Souls’ Day stems from a belief that there is a powerful spiritual bond between those in heaven (the “Church triumphant”), and the living (the “Church Militant”). To make this Meet and Greet a little unique. Share with us someone who has departed that left and impact on your life as a tribute to the witness there were to you and maybe others. Leave a link to a post or blog other than your own. 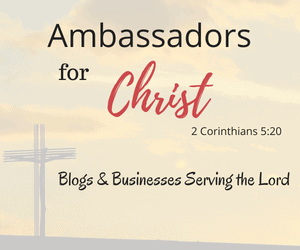 Leave a link to your blog or a specific post. Share, Share, Share! Spread the word via social media or reblog. The more people that see this, the more visitors we get and the more participation! I will be telling two stories in my message for All Saints Day this weekend. First, that our alma mater Concordia Seminary St. Louis plays “For All the Saints” (the RVW tune Sine Nomine) at noon each day and then tolls for all the pastors who have entered into the Church Triumphant on that calendar day throughout the LCMS. Then I will tell the story of Betty who was a dancer, swimmer, and musician until she suffered a stroke and couldn’t be anymore. However, she was still a loving wife, mother, and member of our congregation until Jesus called her home. When 1 John says we don’t know exactly what we will “be” in heaven but that we’ll be like Jesus, I suspect that for Better it is leaping, dancing, swimming, and making music with Jesus! I will be checking those out, for sure. Thanks for letting me in on the Meet and Greet! Hello everyone! That is very cool Beth. I look forward to reading your blog. Your blog is very refreshing and sweet. I have enjoyed it this morning! Thank you. Have an awesome weekend. Thank you for encouraging us to share. I recently finished reading one blog by Rev. Deidre Whitefield. Blog is called “CrustyBread” She had written short, yet poignant pieces during BHM about African American men and women who left a positive impact in the world. Inspiring and insightful. On my blog: “A Time 4 Everything” I wrote a blog about Mother Teresa and her faithful witness here in our world. Can’t wait to read more of your posts!